Home » Posts tagged "TAM 2019 Community Art Installation"
The Brain Energy Support Team (BEST) is honored and thrilled to share that we have been selected by the Tacoma Art Museum (TAM) to participate in a community art show this fall. 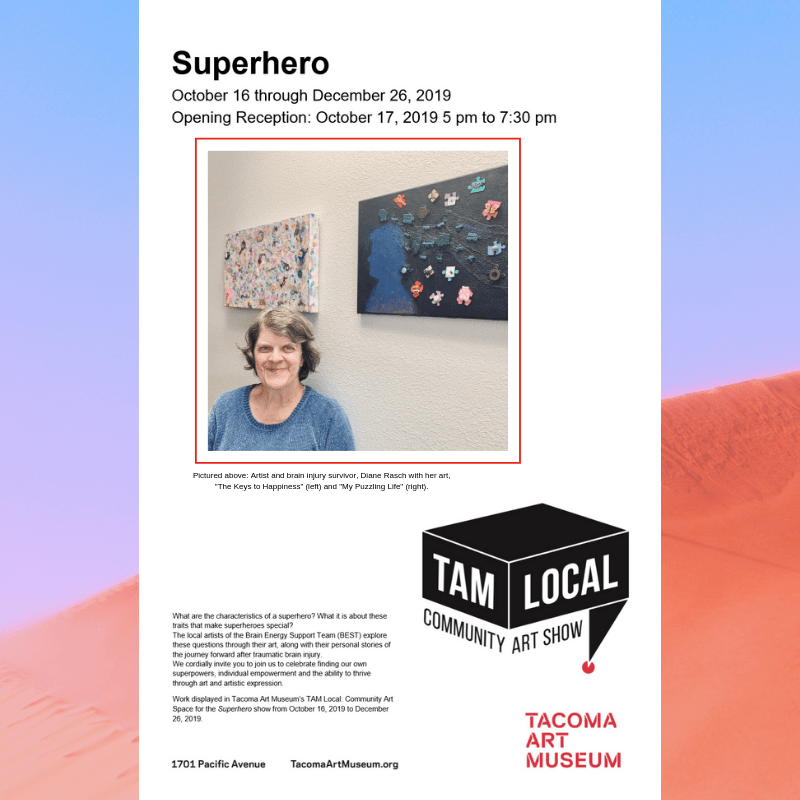 Work displayed in Tacoma Art Museum’s TAM Local: Community Art Space for the Superhero show from October 16, 2019 to December 26, 2019. There will be an opening reception Thursday, October 17, 2019 from 5 pm to 7:30 pm in the Community Art Space at TAM. BEST artists: Please stay tuned for details on how you can participate in this exciting local event. Information coming soon! In the meantime, if you have any questions, please email Kim Thompson at kimt@brainenergysupportteam.org.